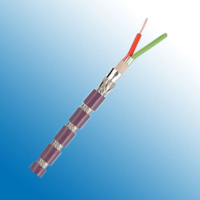 The application of these Profibus SK cables are in the cell and field area, just as for conventional types. The great advantage of this new system is the quick connection of the cable to the respective plugs. This type of processing also avoids errors. The above mentioned types are suitable for drag chains (stranded).